The Buddha never claimed to be anything other than an ordinary human being he attributed his spiritual search and self realization to human effort understanding and intelligence. But how many of us really take time out to reflect on our potential to usher fundamental changes in our lives and then more importantly do something about it? This profoundly written book interspersed with quotes from various masters like Osho reminds us that the seed of consciousness is already sown it is our responsibility to make ourselves fertile with practice like meditation to let out true being sprout. The path to follow is of awareness discovery and transformation. Dr. Vasant Joshi has been in the academic field for over thirty years working in India and in the United States of America. He was a visiting professor India scholar program in the department of Religious Studies Cleveland state University Ohio. He has served on the faculty of University of California Berkeley and at the University of Michigam; Ann Arbor Immensely moved by osho’s vision Dr Joshi went to Pune in 1975 and was initiated into sannyas by Osho who named him Swamy Satya Vedant. He was later appointed as Chancellor Osho Multiversity by Osho Himself Dr Joshi has traveled worldwide giving lectures presenting papers participating in seminars and conferences and conducting meditation workshops. In view of the constraints of time we face today I feel it is more useful that ideas and discourses be given as briefly as possible to make a point succinctly. The purpose of this book therefore is neither to teach nor to convince. 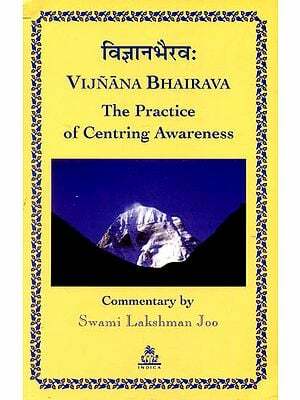 It is basically a sharing of what I have learned on the spiritual path and what has helped me in my personal growth. Not all is intended to be covered nor all is intended to be explained what is covered is seen as enough to focus on selected aspects of spiritual growth. The insights shared here have worked for me maybe they will work for you too. There are pointers given by enlightened beings. They also show the path the potential within us so that we may attain the same state of consciousness that Buddha and many others have attained before. I also feel learning form these insights can prove to be highly educational and encouraging. I wish to express my gratitude to Dr Earl Anderson Dean School of Liberal arts and social science Cleveland State University (CSU) for his consideration and support in the publication of this book. The India Scholars Program at CSU was initiated by Dr. K.C. bhaiji I am indebted to him for inviting me to teach Eastern Religious and Hinduism under this programme since 1999. I have dedicated this book to the memory of late Dr. Bhushan Wadhwa professor of mathematics at CSU whose support and care made by participation in this academic programme a personally enriching and rewarding experience. I am equally grateful to CSU and the Indian community of Greater Cleveland for creating the India scholar program and having me to contribute to its success. 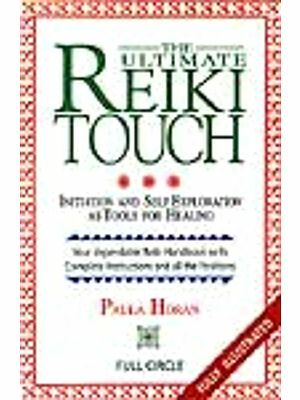 This book contains various meditation techniques taught by the enlightened mystic and a prolific author Osho. I have drawn from his vision and techniques because I find them immensely valuable for our times. It is said once a young man came to see Gautam Buddha. The man was skeptical about Buddha’s enlightenment and divine presence. Does the Blessed one teach a path which is new an original the man asked. One of Buddha’s close and illustrious disciples Sariputta turned his attention form Buddha looked at the skeptic and said if the blessed one taught a path that was new and original he would not be a blessed one! Looking graciously at Sariputta Buddha smiled and said well said Sariputta well said! Being on a spiritual path I have learned that information can be new or old but truth is not information. Regardless of who sees the truth Buddha, Jesus, Kabir, Rumi Osho, Ramana Maharishi you or I it comes as an experience which springs forth form one’s innermost core. It certainly is not a mind product. Reflecting upon Buddha’s story I wonder can experience of truth love compassion be new and original? Can love be new or old? Can compassion be ancient or modern? We can say truth is both ole and new or neither love and compassion are fresh novel and alive experience regardless of time and space. Truth simply is love is compassion is there is ness never goes through any mutation. It matures but never mutates. Because truth has been see discovered realized so many times a skeptic can say what is new? But when Buddha knows the truth the truth known by the sages before him does not become old. In fact it becomes new again because Buddha has attainted it in a new way in his own way. It is original because it has originated the first time through Buddha. Since truth has been seen so many times one can easily confuse it with information. Science is either new or old. When Albert Einstein for example finds something Issac Newton’s discovery becomes old. Einstein brings more information his research brings new facts which were not known to Newton. Thus we come across new scientific theories and the Nobel Prize is given in recognition of the novelty of ideas. Buddha is not building upon what seekers have found before him. All that may be relevant for his search but is not crucial to work with. What others before his found is so personal so uniquely discovered that there is no way Buddha could replicate it or recycle it. Buddha’s discovery is his individual achievement very special very distinct and very new. How Gautam Siddhartha became a Buddha is a story of self transformation not a chronicle of how information was refined further applied and disseminated. He never claimed to be other that a human being earnest authentic but very ordinary. He attributed his spiritual search his self realization to human effort human understanding and human intelligence. That every human being is a potential Buddha was not a matter of belief or theory for him it was his firm conviction based on his own discovery. His ultimate message to humanity is crystallized and coded in two of his powerful declarations sammasati remember you are a Buddha and appa dipo bhava be a light unto yourself. In the stories and teachings of self realized beings such as Buddha and many others before and after him I find significant pointers which if understood made instrumental in one’s search and lived can help in the evolution of one’s consciousness and in the realization of one’s Buddha hood. The paths Buddhas have followed may or may not be for everyone but the process of awareness discovery and transformation they went through is intrinsically relevant and valuable to experiencing enlightenment. 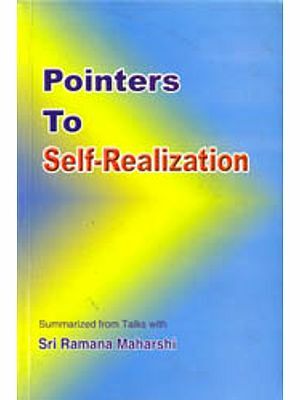 For the strategic application of pointers and the process in the pursuit of enlightenment what is also required I have found is the preparation led by techniques skills and methods of meditation which may create an opening within us to be receptive and available to the pointers and the process.